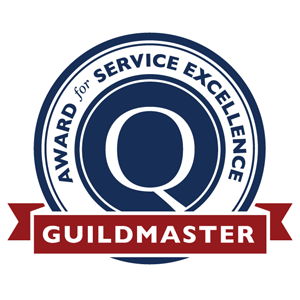 Since 2005, GuildQuality, an Atlanta-based third-party customer satisfaction surveying company, has powered the Guildmaster Award to recognize and celebrate home building, remodeling, and contracting professionals demonstrating the highest level of customer service within the U.S. and Canada. Out of 600+ eligible applicants, Karlovec & Company is one of only two businesses within the residential construction industry in Northeast Ohio recognized by GuildQuality for consistently delivering superior customer care. Karlovec & Company achieved a recommendation rate of 100% from their customers surveyed by GuildQuality. For over 20 years, homeowners have trusted Karlovec & Company to deliver inspired design, master craftsmanship, excellent project management, and superior customer service. Find out why. Visit our GuildQuality page, read what clients say on our client testimonials page, or contact us to learn more.